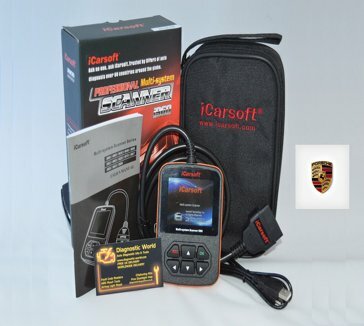 The Porsche i960 iCarsoft is a multi system diagnostic tools which has been designed to communicate with the main systems within your Porsche such as SRS airbags, ABS Antilock Brakes, engine & tranmission modules. Need to diagnose an older car like 986 or 996 airbag & ABS systems? you need to use the Foxwell NT510 kit.